Want to see how the five districts in LA County compare on employment, household income, educational attainment, and more? 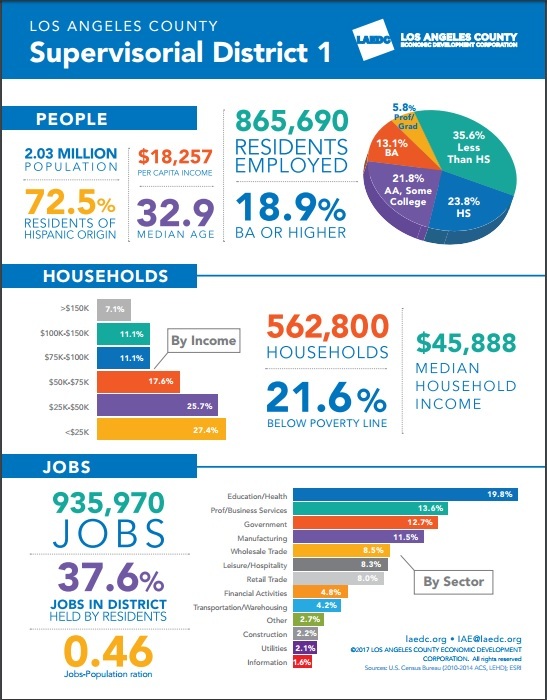 Below, link to the PDF file that provides these useful infographics for each district. Download the demographic snapshot HERE.